The 2016 Stanley Cup Playoffs are coming down to the wire. In the Eastern Conference Semifinal round, the Tampa Bay Lightning eliminated the NY Islanders in five games, and the Pittsburgh Penguins eliminated the Washington Capitals in six games. In the West, the St Louis Blues eliminated the Dallas Stars in seven games, and the San Jose Sharks eliminated the Nashville Predators in seven games. It will be either the Pens, Bolts, Sharks or Blues will hoist the Stanley Cup this season. What about the other teams ? What happened to the President’s Trophy-winning Washington Capitals and in the West, the top-ranked Dallas Stars ? We examine all those issues and more, as well as giving predictions on which two teams will ultimately vie for the silver chalice. Check out this latest episode of Talkin’ Hockey ! 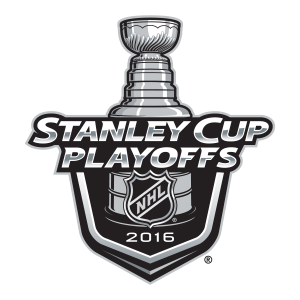 Talking Hockey: 2016 Stanley Cup Playoffs – Conference Final Preview from Inside Sports on Vimeo. This entry was posted in NHL, Uncategorized and tagged hockey, NHL, San Jose Sharks, stanley cup playoffs, Tampa Bay Lightning. Bookmark the permalink.